It is a great delight to join you to celebrate the 50th anniversary of the Society for Anglo-Chinese Understanding. Let me offer my warmest congratulations! And friendship between the people derives from mutual understanding. While admiring your name, I admire even more your achievements. You should be proud of your name. You should be proud even more of what you have achieved in promoting Anglo-Chinese understanding all these years. In fact, understanding is an eternal theme for both China and Britain. Back in the 1960s, the Cold War between the East and the West was raging. China and Britain were yet to have full diplomatic relations. But it was right then that a group of like-minded Britons demonstrated extraordinary political courage and foresight. Resolved to break through the thick icy barriers of the Cold War, they founded the Society whose 50th birthday we are celebrating today. 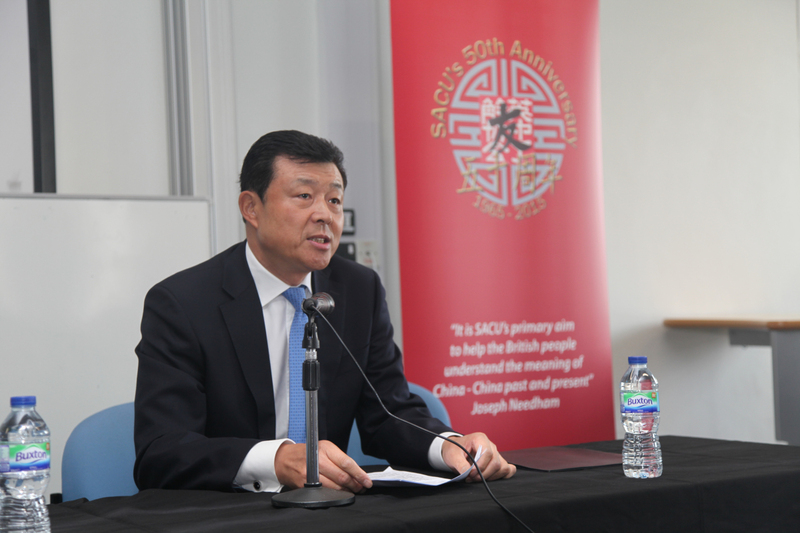 Over the past 50 years, SACU has been committed to better understanding between China and Britain, and between the people of our two countries. You have worked hard to clear away misunderstandings and biases. You have organized exchanges of visits between the two countries. You have been sharing stories of the real China with the British public. Between China and Britain, and indeed between China and the West, you are an important platform for understanding and a channel for exchanges and cooperation. What you have done has an important place in the history of China-UK relations. Fifty years on, the international landscape has changed profoundly. China in this new landscape has changed beyond recognition and continues the dynamic change with each passing day. China-UK relationship had also made a quantum leap, from chargé d'affaire level to ambassadorial level, from partnership to comprehensive strategic partnership. Exchanges between the Chinese and British people are closer than ever, deeper than ever and more extensive than ever. 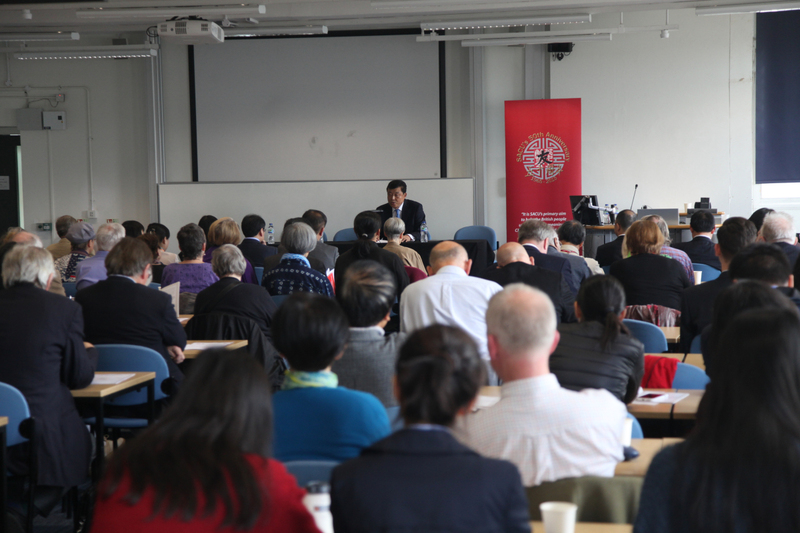 However, "understanding" remains a major subject between China and Britain, and indeed between China and the West. To be frank, western understanding of contemporary China is far from sufficient. Old misunderstandings and biases may have dwindled but they are replaced with new ones. Some people always prefer to see China through coloured lenses. Whatever they see in China, be it peaceful development path, economic upgrading or "One Belt, One Road" initiative, they would make the same noises. To them, these would always be a sign of "China threat" or an omen of "China's collapse". To build Anglo-Chinese understanding – and indeed to increase understanding between China and the West – remains a long and arduous task. History has shown that understanding is the foundation and precondition for building stable comprehensive strategic partnership between China and the UK in the long run. Only deeper understanding fosters deeper mutual trust; only deeper mutual trust generates deeper cooperation. Dr. Joseph Needham, SACU's first chairman, had devoted his whole life to promoting understanding of China. His efforts had not just improved the world's understanding of the history of science and technology in China. More importantly, he had helped foster better understanding of China's history, culture, social system and development path. He was certainly worthy of the title of "People's Friendship Envoy". He was a great role model for us all. "At fifty, I knew the mandate of Heaven." Today, SACU turns fifty. On this very special day, I give SACU my best wishes from the bottom of my heart. I believe you not only know your mandate but are fully committed to it. It is the mandate to advance China-UK understanding and friendship. It is the mandate to carry forward, in this new age and with new ideas, the lofty cause of bridging gaps and strengthening bonds. And it is the mandate to help to build the edifice of Anglo-Chinese understanding and to write a new chapter for a better and brighter future of China-UK relationship.